Whose founder served as the president of a New York City borough’s bar association, was a member of the City Council and was an Assistant District Attorney. At The Orlow Firm, we have handled construction site and workplace accident cases involving dangerous scaffolding, cranes and ladders, motor vehicle accident collisions, falling objects and a broad range of other dangerous conditions resulting in neck, back and head injuries, paralysis and other serious and catastrophic injuries, as well as wrongful death. Were you injured in a construction accident in the Bronx? Contact a Bronx construction accident attorney for a no-charge consultation by calling at (646) 647-3398. Often, in a misguided effort to control costs or maintain an arbitrary safety rating, employers retaliate or threaten to retaliate when construction workers file a personal injury claim. It is your right, though, to pursue compensation whenever it is owed, and to do so without employer harassment. We can protect your rights regarding your employer and other parties while pursuing the compensation you deserve following construction site injuries, disability and medical expense. For a no-charge consultation with an experienced Bronx construction accident attorney, contact our office. 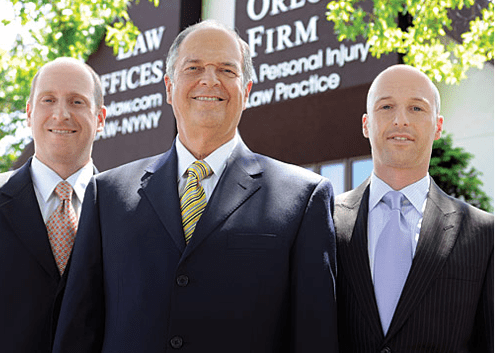 At The Orlow Firm, we offer free initial consultations, operate four New York City offices, handle cases exclusively on a contingency fee basis and can come to you if you cannot come to us. To contact us call (646) 647-3398.